As a homeowner, you want to take the necessary measures to protect your investment and have your carpet look and feel clean. A carpet traps dust, pollen and other particles filtering them out from the circulating air like a filtration system. Our Professional carpet cleaning Westchester NY and rug cleaning service can completely remove dirt, allergens, odor and stains from any type of carpet including fine quality rugs, wool carpets and Orientals. While ninety-nine percent of today’s carpets are made of synthetic fibers there are other natural (plant) fibers such as wool, sisal, cotton, jute, coconut, pineapple and number of others. Additionally, there are many different carpet styles of which the most common being the loop pile (level loop, multi-level loop) and cut pile (plush, Saxony, textures and shag). As a result, some carpets may be cleaned with conventional cleaning methods while others require specialized equipment. We use industry-leading commercial-grade equipment and cleaning solutions that will clean and restore any carpet while preserve its fine fibers from damage. Synthetic, and especially natural fibers allow the thriving of various pests unless the carpet and rugs are treated frequently and appropriately. Miss Maid offers an add-on service to treat and preserve your wool carpets and rugs from moths, carpet beetles and dust mites. We can also pre-treat your carpet and rug for pests resistance and preservation prior to storing them to secure their quality and lifespan. Our customers also frequently combine their carpet cleaning inquiries with additional cleaning requests which utilize similar cleaning technology. The most frequently requested shared-technology services include upholstery cleaning and extraction, leather specialized cleaning, driveway power washing, and patio and deck power washing. What germs are lurking in your carpet? Often, the difference between a brand new carpet and one in long use is the number of germs thriving in its fibers. With their dust and dirt-trapping qualities, carpets provide a free filtration system and are propitious to a healthy living environment. Dirt settles quickly and is then captured until it accumulates to a dangerous level, unless the carpet is vacuumed again. Like any filter, carpets require regular cleaning and maintenance to protect your health and expensive investment. Miss Maid is fully furnished with years of professional carpet cleaning expertise, commercial carpet equipment and dedication to revive any carpet back to its original feel, smell and look. Check out our video for additional information. Q: HOW LONG WILL IT TAKES FOR MY CARPETS TO DRY OUT COMPLETELY? A: We use specialized fast dry carpet extractors that are designed to provide increased suction capacity (water lift). 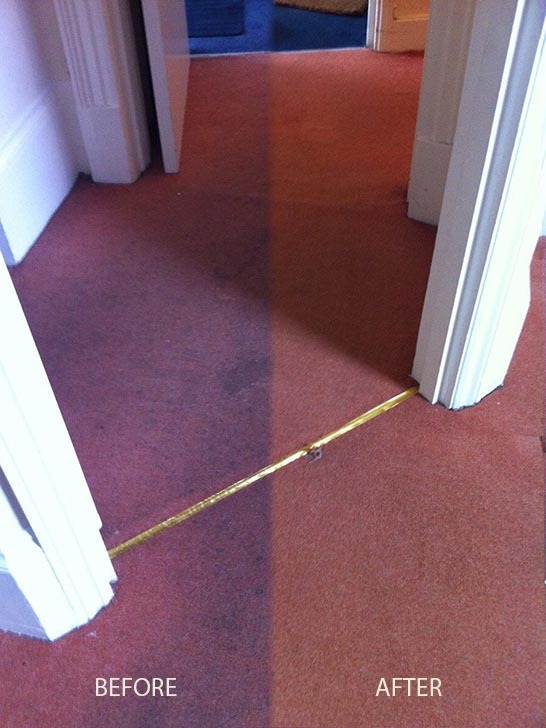 As a result, the most common types of carpets are usually dry within approximately couple of hours. Some other types such as the ones made out of wool will require longer hours. However, this also depends on the level of soiling and ventilation. Q: WHAT KIND OF CARPETS CAN BE CLEANED? A: We clean almost any type of carpet including fine quality rugs, wool and Orientals. A variety of plant fibers are used in carpets including sisal, cotton, jute, coconut (coir), pineapple, ramie, hemp, and number of others. Due to this wide variety, some carpets may be cleaned with conventional cleaning methods while others require a more specialized equipment such as dry, hot water and cold water extractors. Contact us and we can confirm the type of carpet for you. 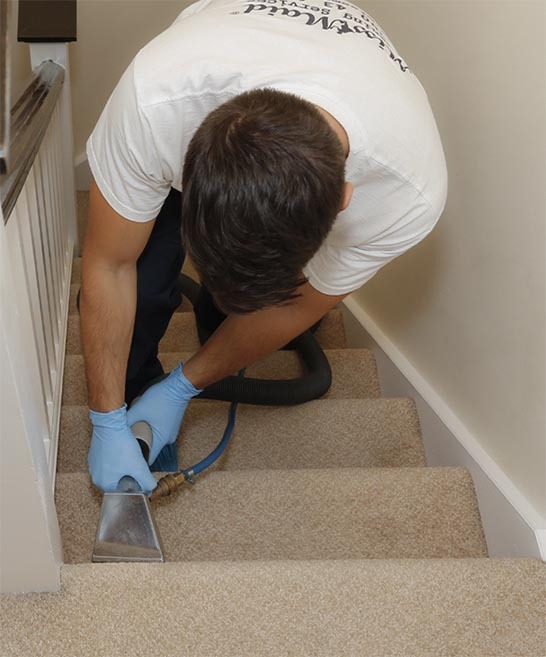 Q: DO YOU PROVIDE CARPET & UPHOLSTERY CLEANING OVER THE WEEKENDS? A: Yes, we are open seven days a week and we will be happy to serve you when you need us. There are NO additional charges for having your service in weekends. 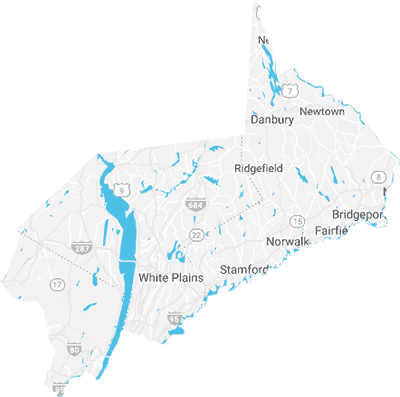 Miss Maid proudly delivers carpet cleaning services in the counties of Westchester, NY, Fairfield, CT, Rockland, NY and Bergen, NJ. Contact us to arrange services in other areas! We use high-end commercial-grade deep cleaning extractors designed to clean thoroughly any carpet, minimize moisture impact and preserve delicate surfaces and fabrics. We use biodegradable and natural cleaning solutions to limit the impact to the environment and well-being of tomorrow and manage waste in accordance with industry standards. Regular and thorough cleaning by Miss Maid can protect the lifespan, feel and look of your carpets and rugs. We deliver an outstanding carpet cleaning service that is fully guaranteed by Miss Maid’s Quality Seal.